The Royal Palace in Bucharest, Romania. 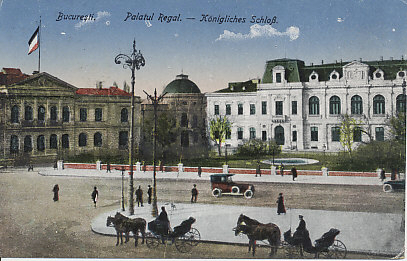 A postcard altered to show the German flag flying over the palace. 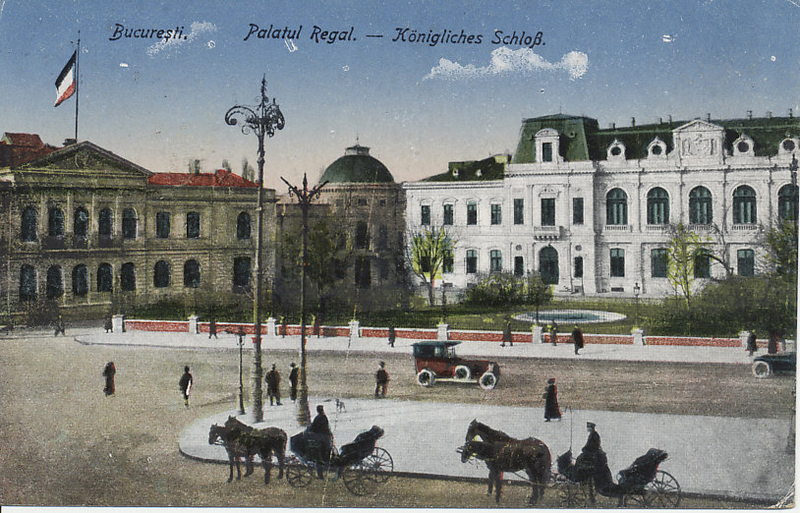 The capital of Romania, Bucharest was also the site of the signing of the First and Second Treaties of Bucharest. 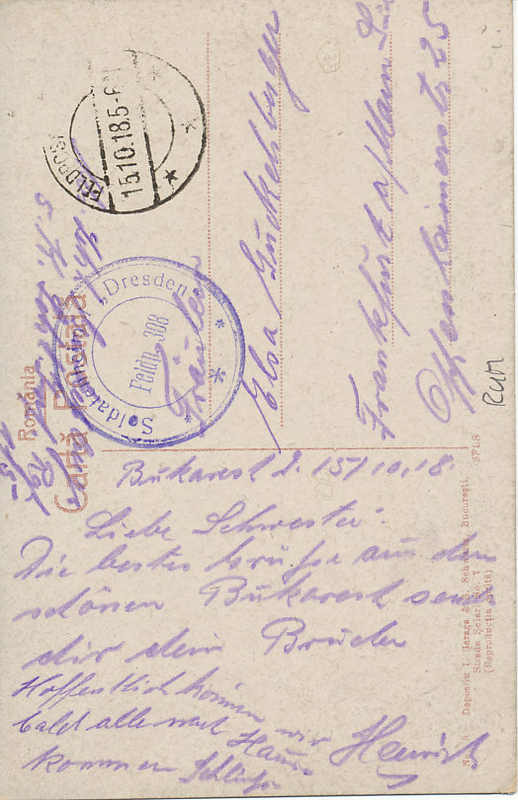 The First Treaty, signed with the Entente powers, brought Romania into the war in 1916. The Second Treaty, signed May 7, 1918 by Romania and the Central Powers, took Romania out of the war. Bucharest is a city in Romania.